Lights! Camera! Action! Welcome to the world of Viewtiful Joe! An innovative, super-hero, action game that mixes funky, cartoon-style visuals with classic, side-scrolling, game play and introduces the world's quirkiest, million-dollar, action hero Joe! Progress through various 2D/3D environments, implementing Joe's visual effect abilities to bash enemies with beautiful style. 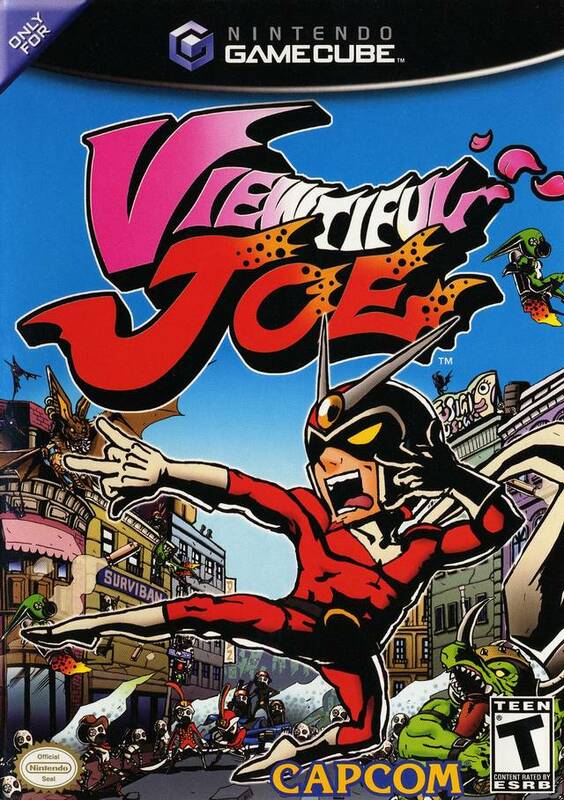 Viewtiful Joe mixes an innovative viewpoint with an amazing stunt-filled action movie universe. I had bought a copy of Viewtiful Joe over the summer. When it came, it looked like it was 100% brand new, product bought was CiB with not a single scratch on the disk. Works perfectly, looks brand new (complete order.) If you have a Gamecube and are considering to buy this game, GET IT! 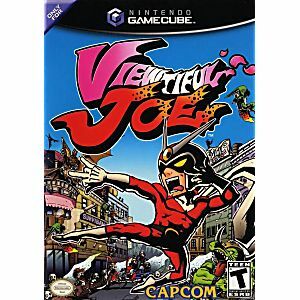 I've yet to play a game like Viewtiful Joe, such a fun game. Purchased the game because I was a huge fan of it when it first came out and decided to pick it up again. It was a blast going back through the game and beating up enemies with VJ's powers. I would recommend this game to anyone. I have to say, this is an incredible game and a must have for any GameCube owner. It plays much like a side scrolling beat'em up, but with the additional powers that you gain through the game, especially the slow and zoom, it takes on a whole extra level of awesome. The game starts out with two difficulty levels, kids and adults. After you beat the adults level, you get V-rated and then if you can beat that, you get Ultra V-rated difficulties. Clearing the game at these higher difficulties will let you play through the game with your choice of extra characters. HENSHIN-A-GO-GO BABY!! !